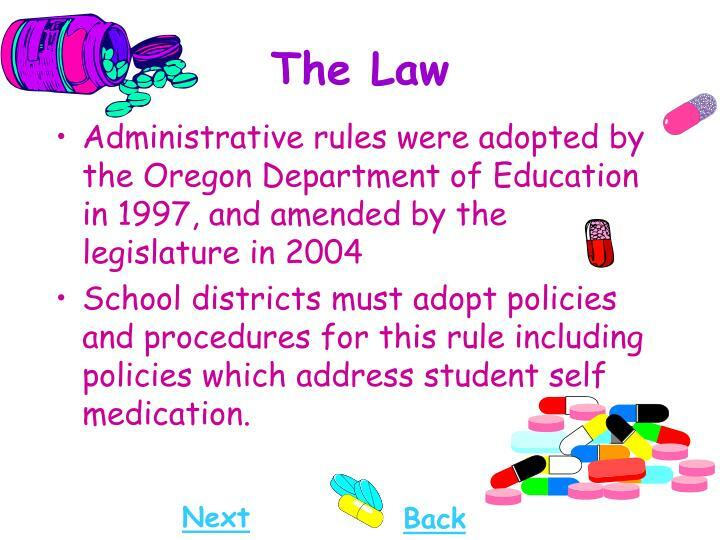 School districts must adopt policies and procedures for this rule including policies which address student self medication. 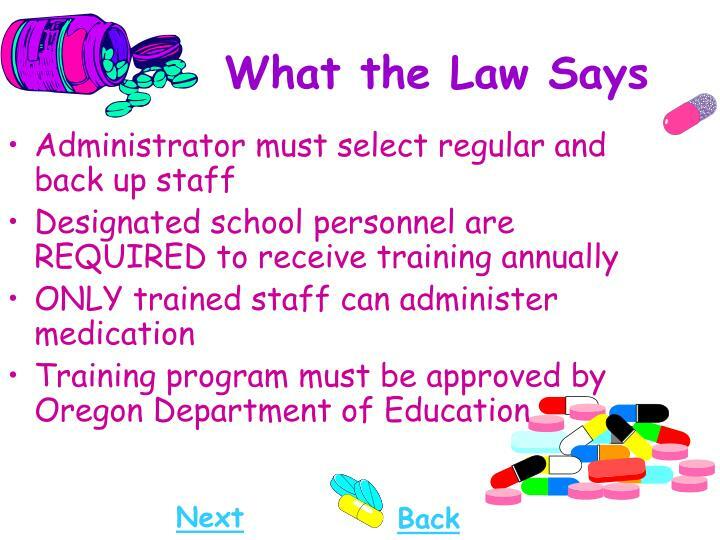 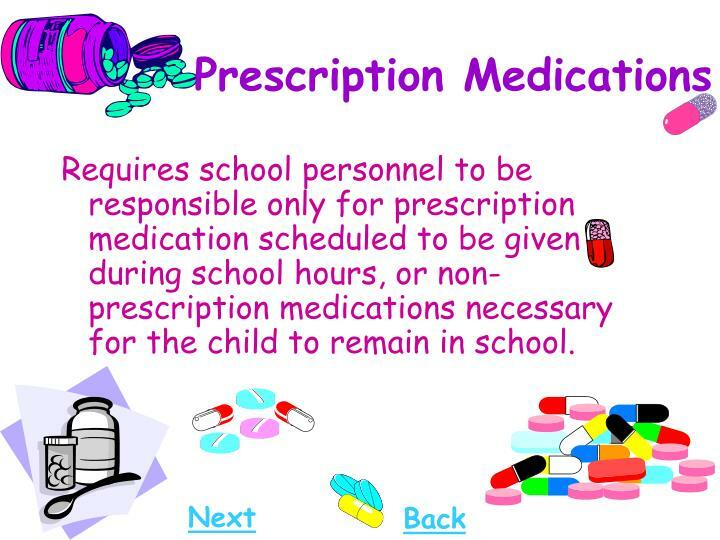 Requires school personnel to be responsible only for prescription medication scheduled to be given during school hours, or non-prescription medications necessary for the child to remain in school. 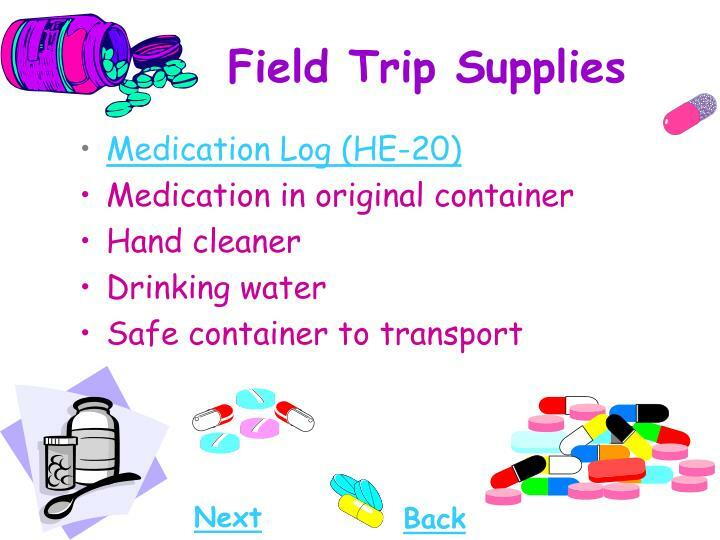 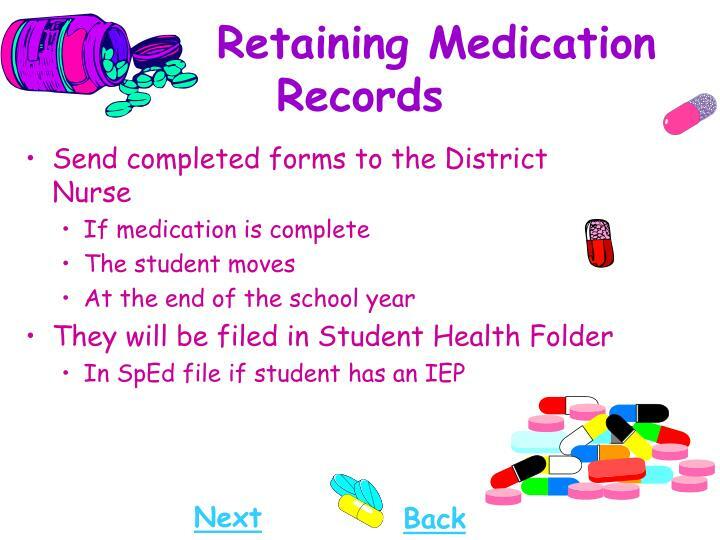 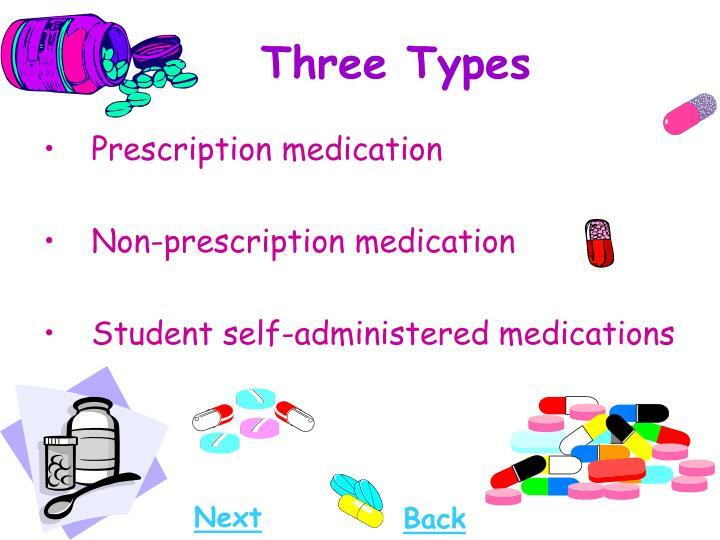 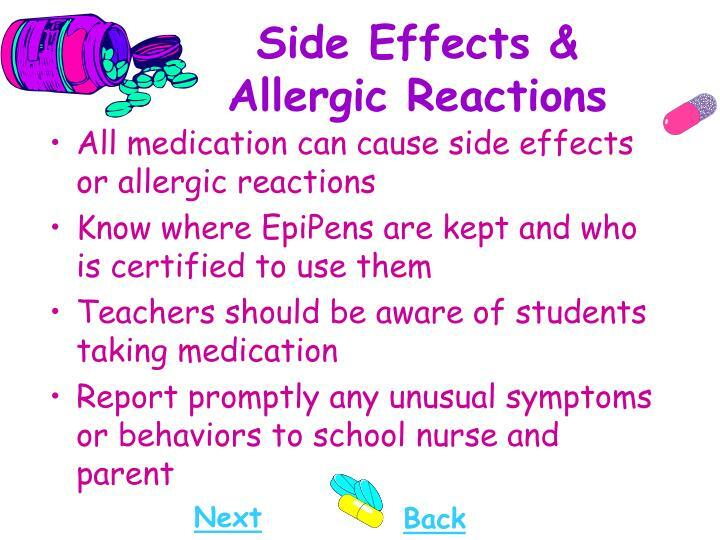 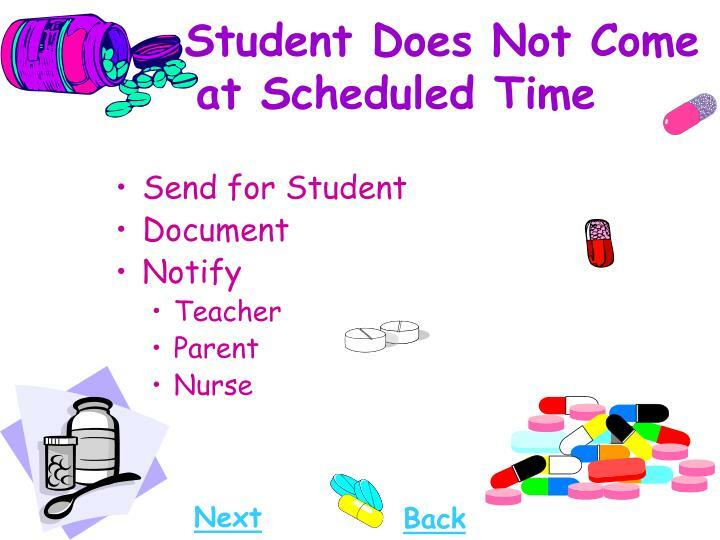 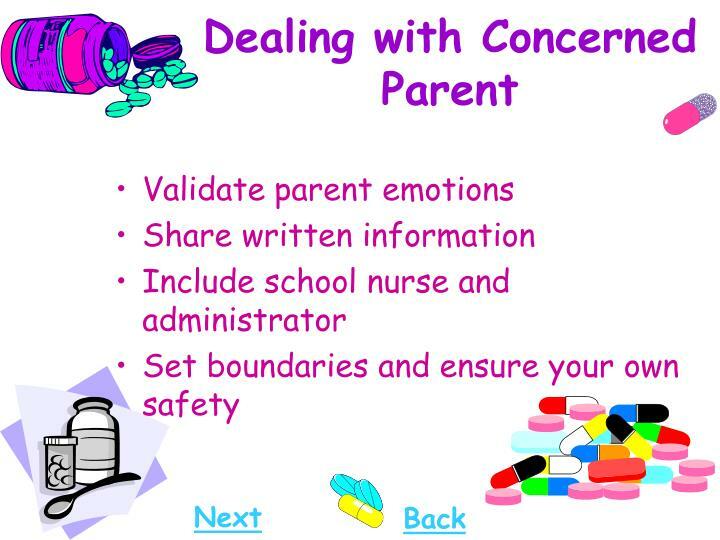 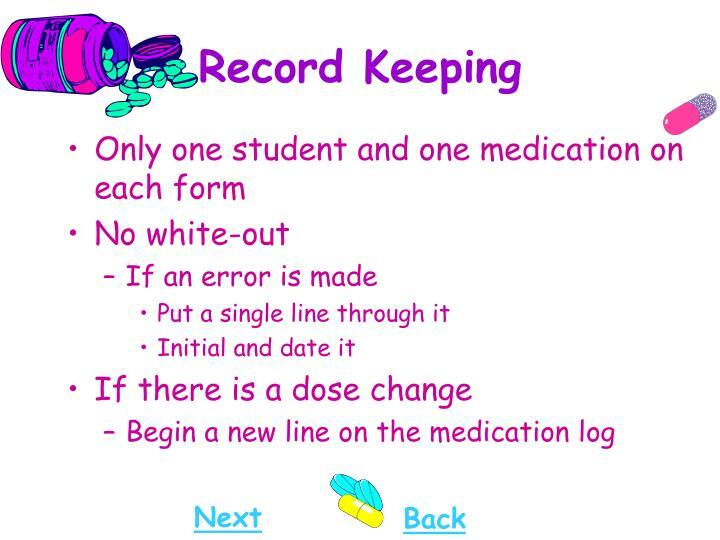 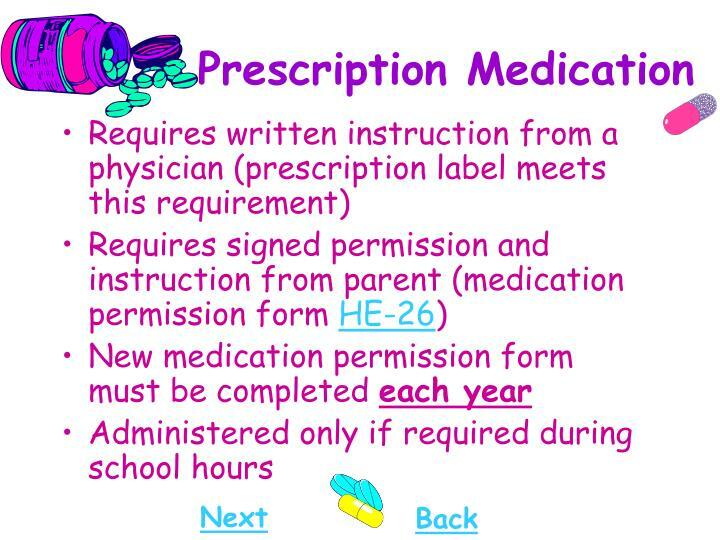 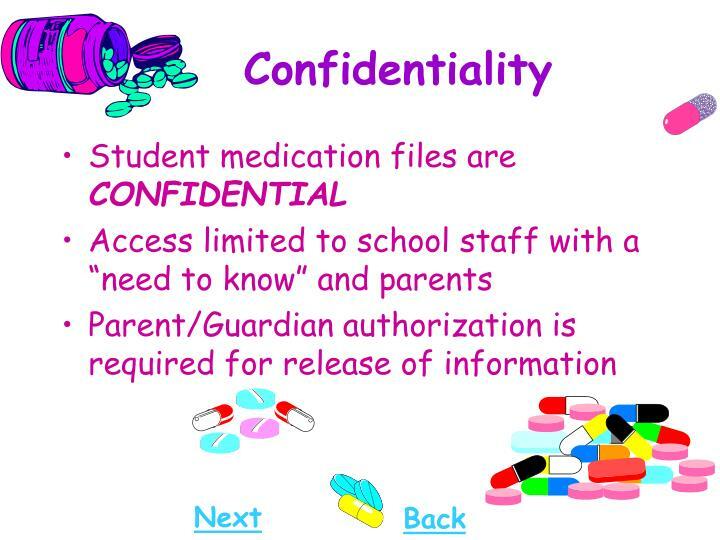 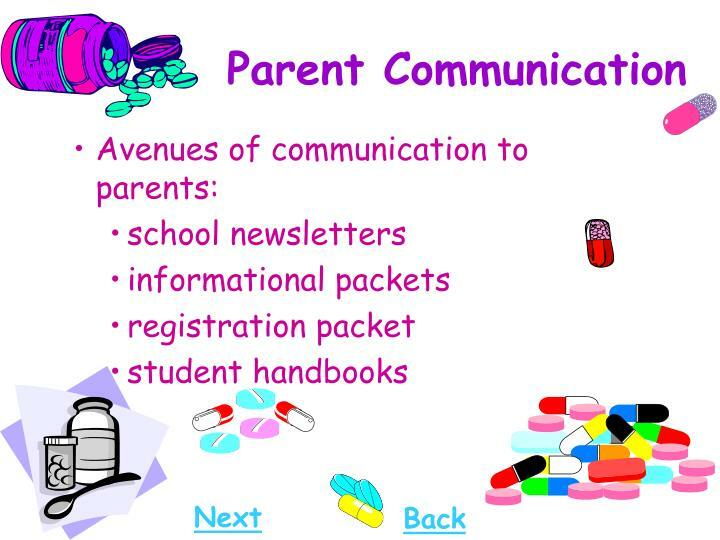 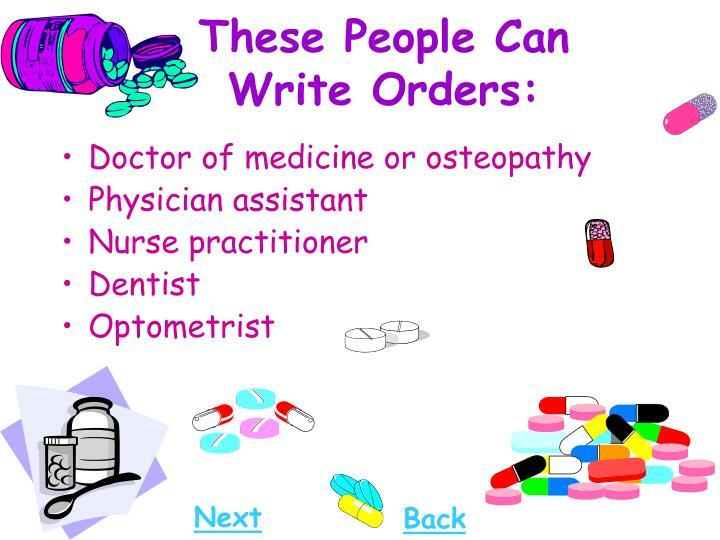 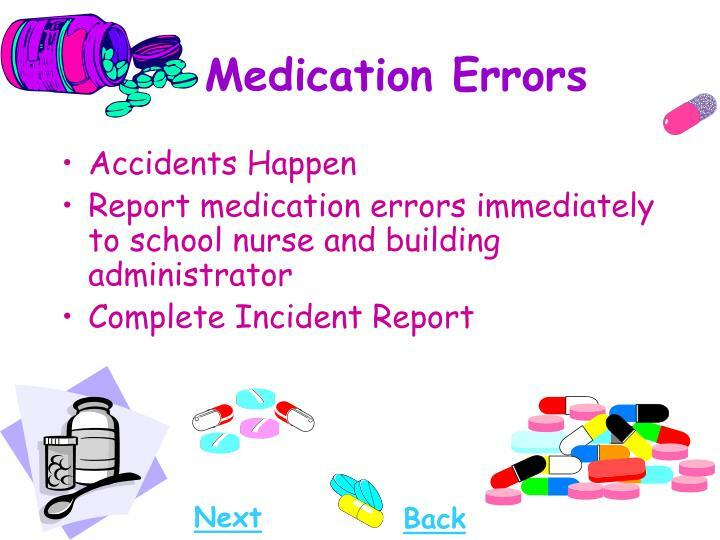 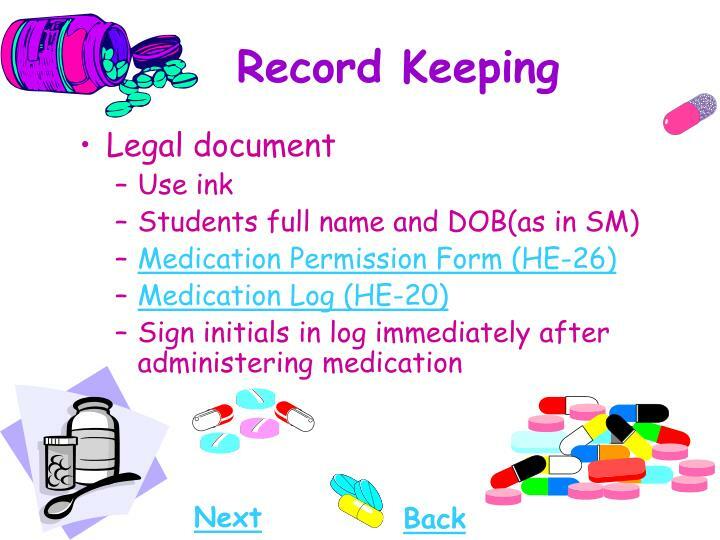 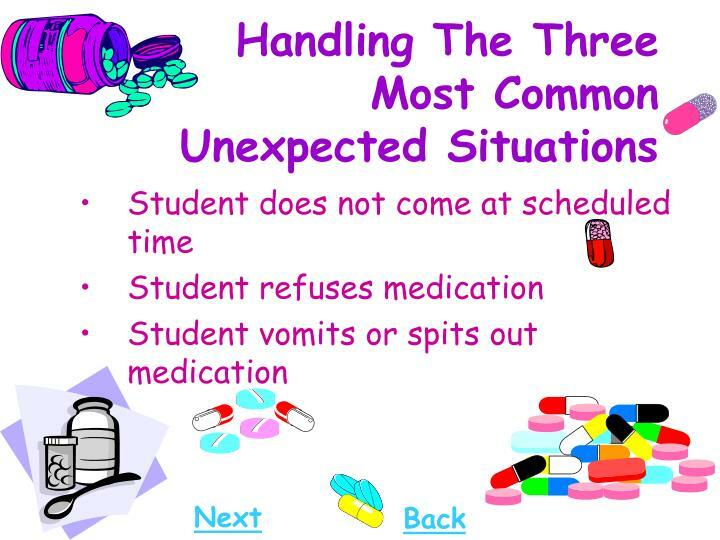 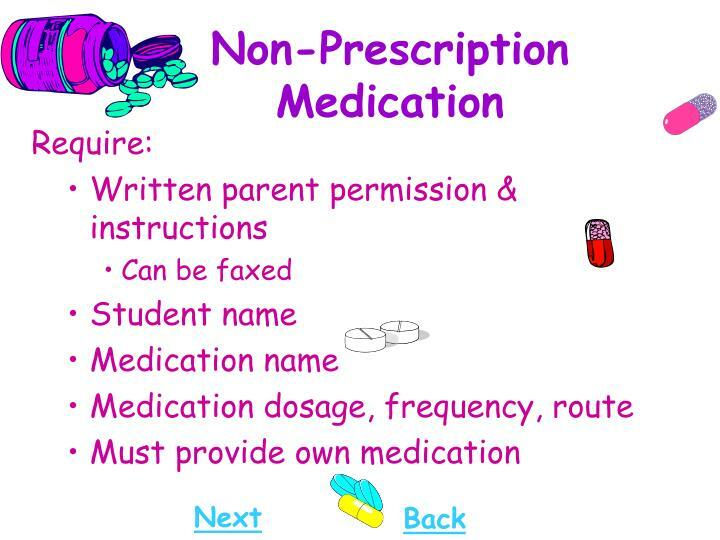 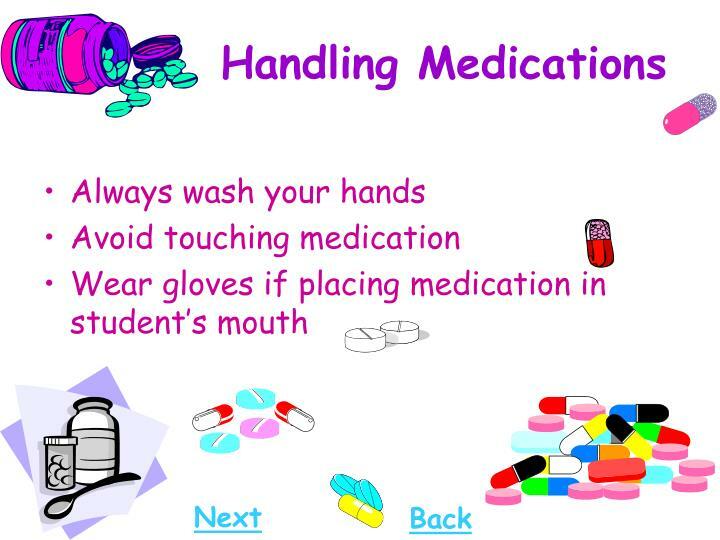 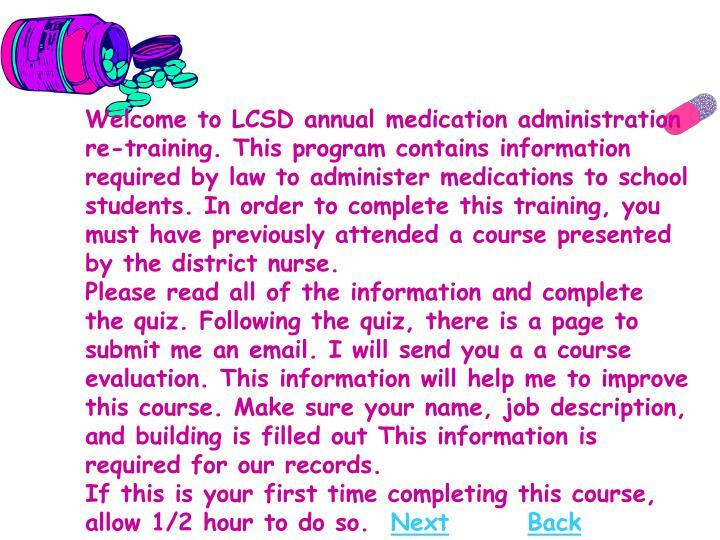 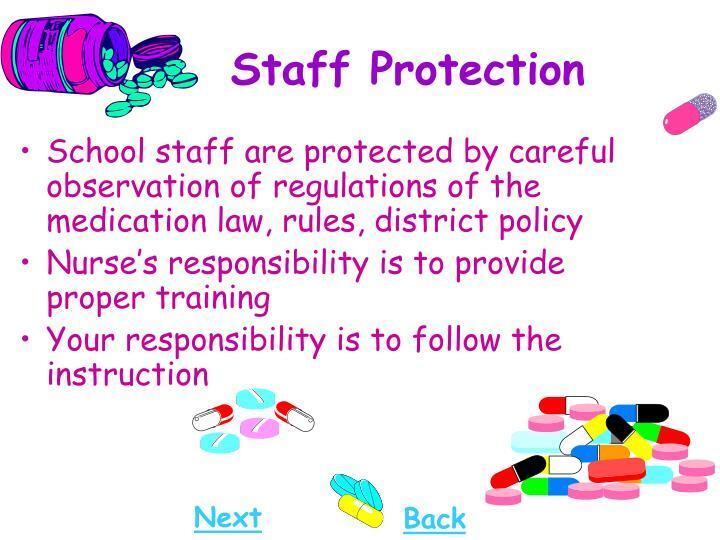 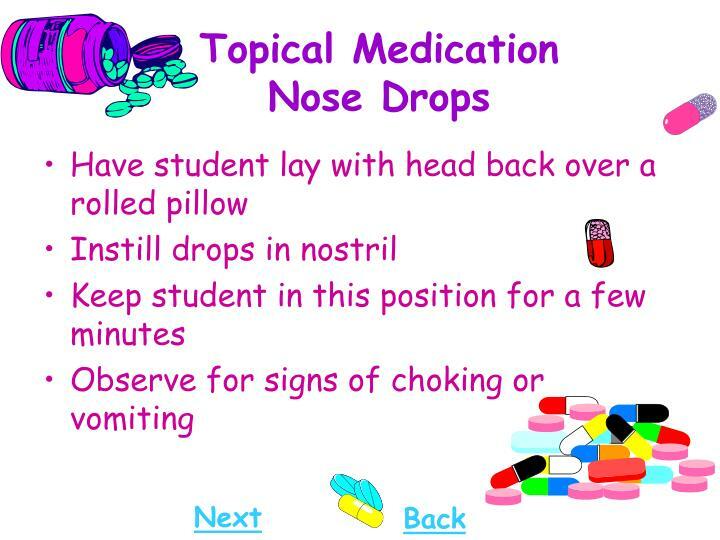 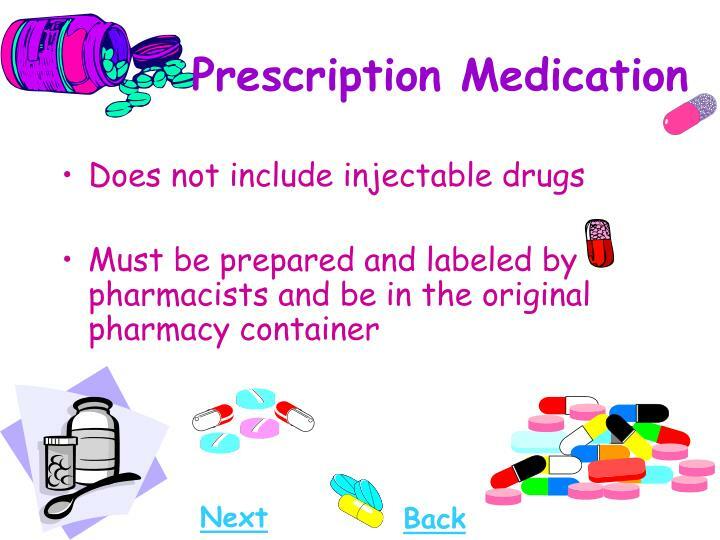 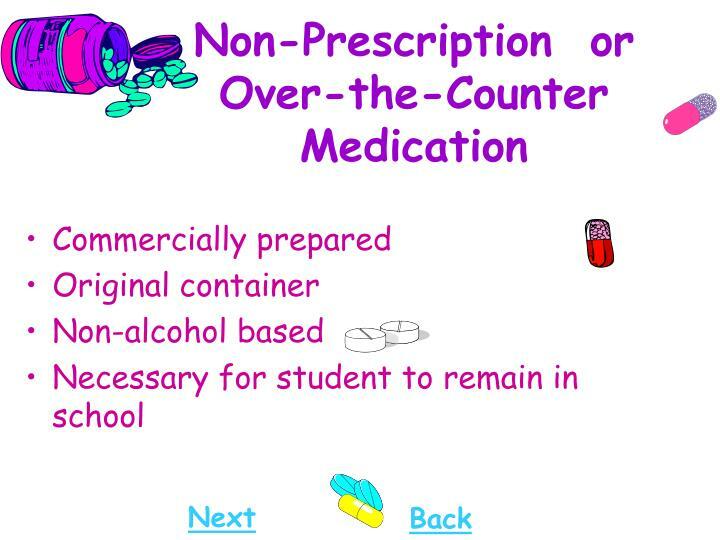 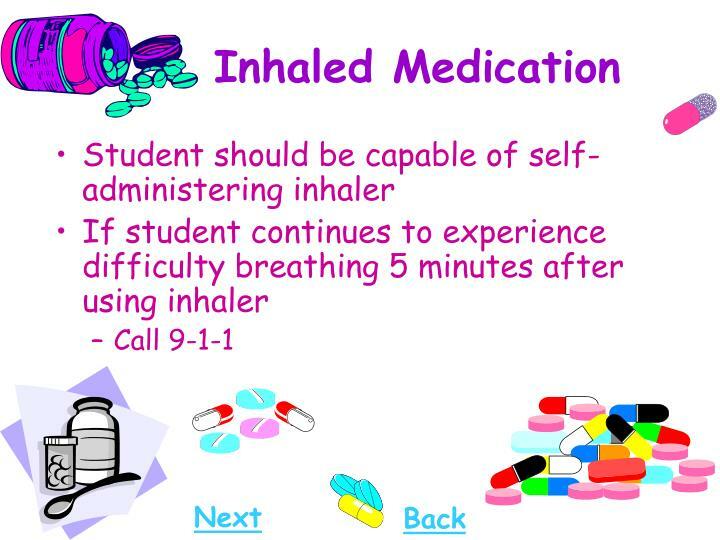 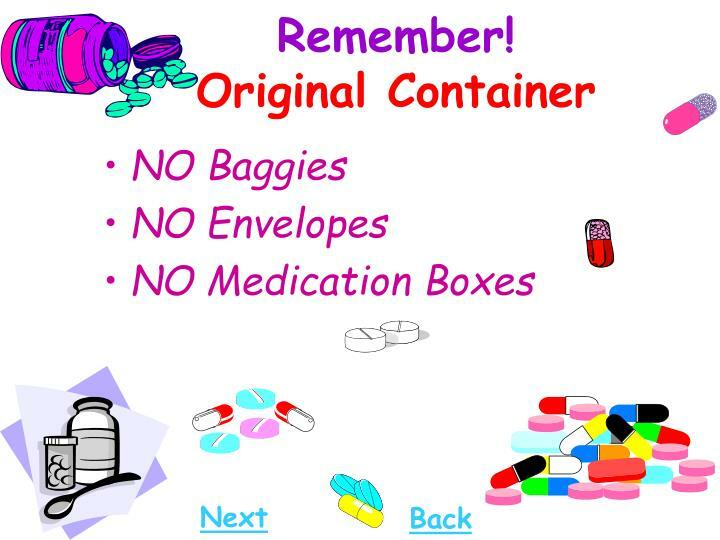 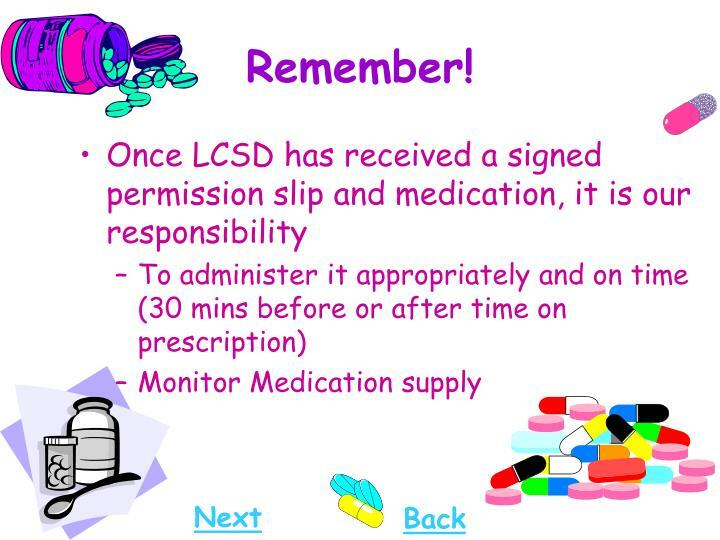 Grades K-8: Self-medication of prescription and nonprescription medication is not allowed except in cases where a student must carry such medication on his/her person or there is a MD order. 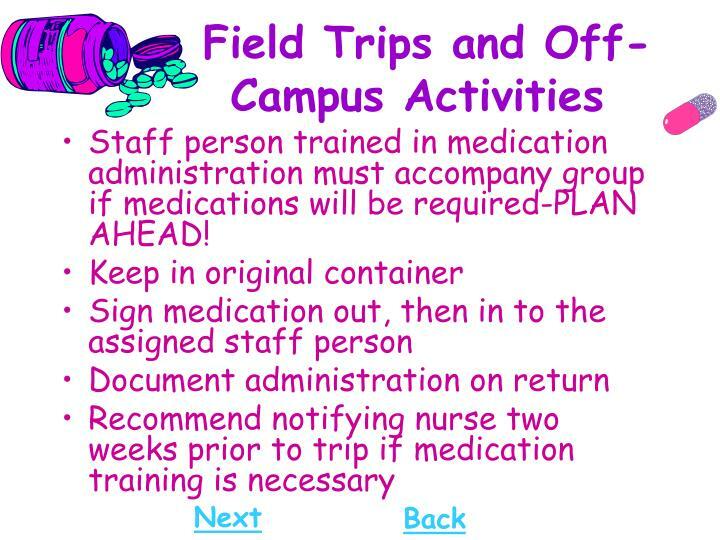 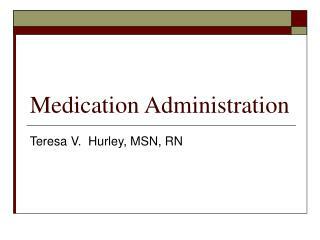 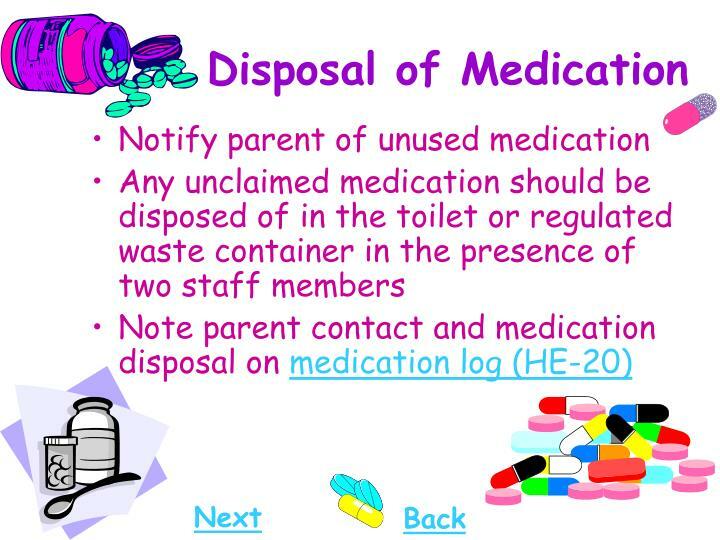 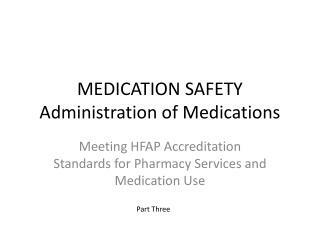 Staff person trained in medication administration must accompany group if medications will be required-PLAN AHEAD! 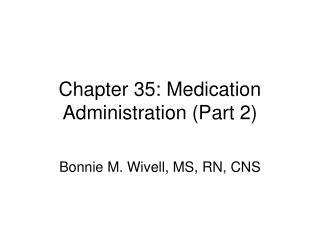 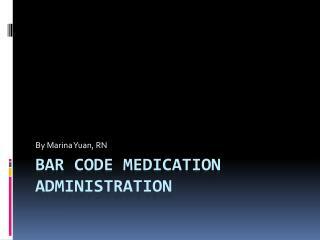 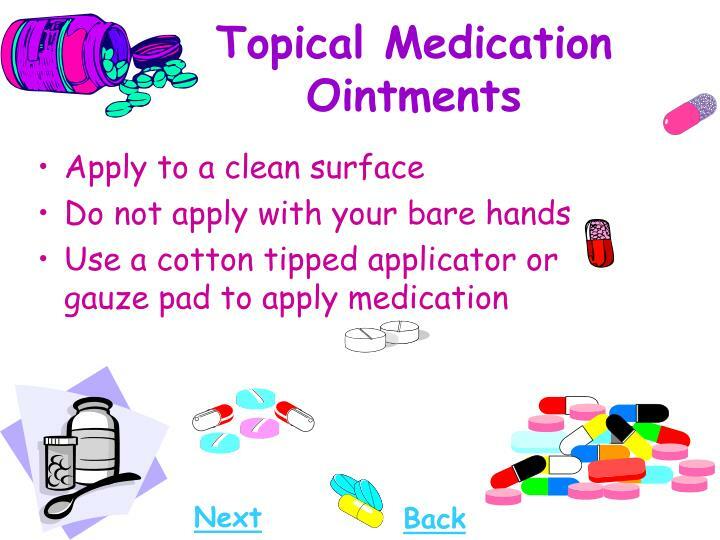 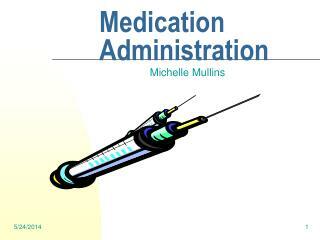 Medication Administration -. 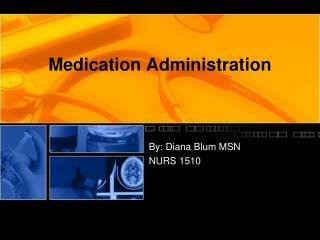 by: diana blum msn nurs 1510. history . 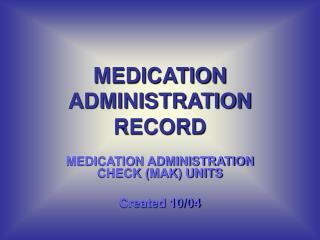 definition: substance administered for diagnosis, cure, treatment, or relief of a symptom or for prevention of disease. 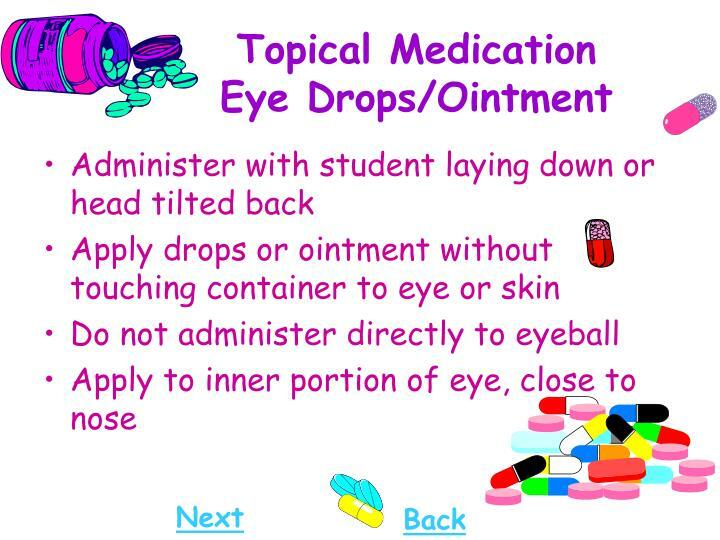 opium, castor oil, vinegar used in ancient times. 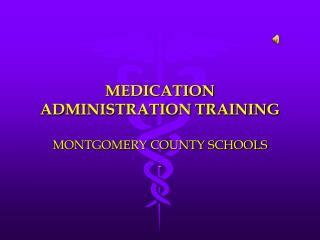 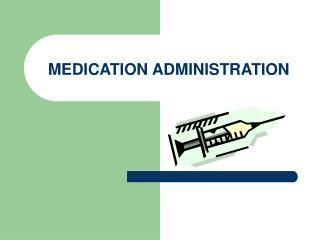 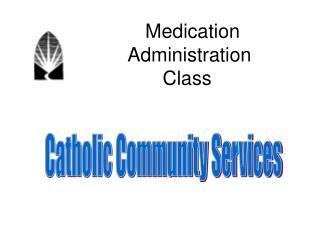 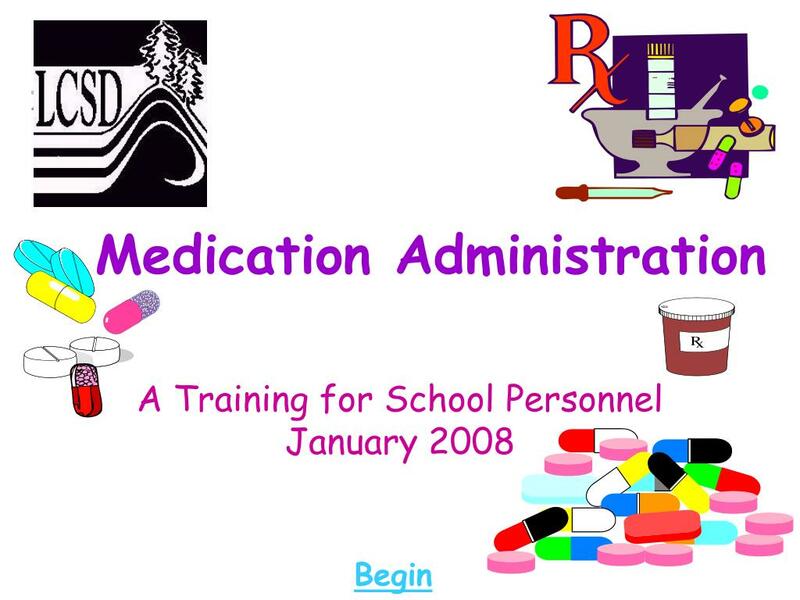 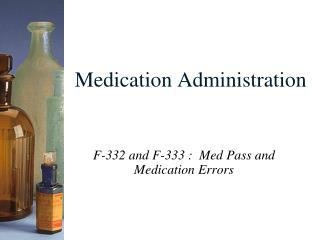 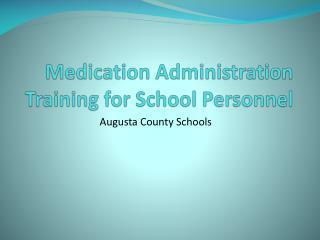 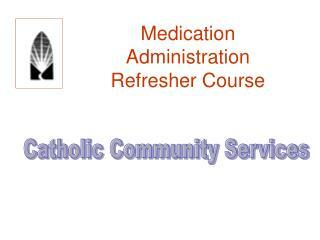 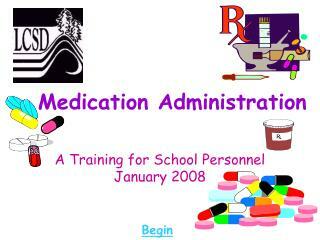 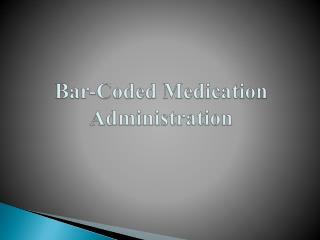 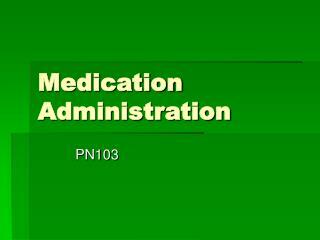 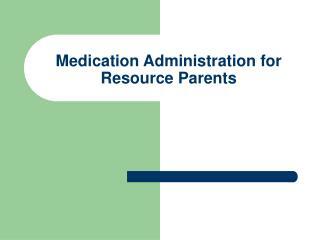 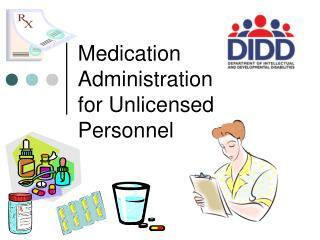 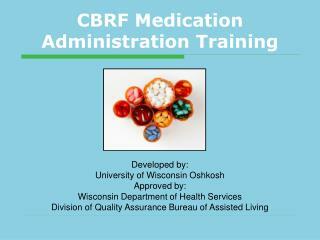 Medication Administration Training -. 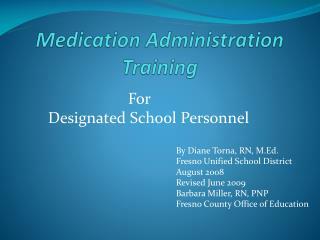 for designated school personnel by diane torna, rn, m.ed. 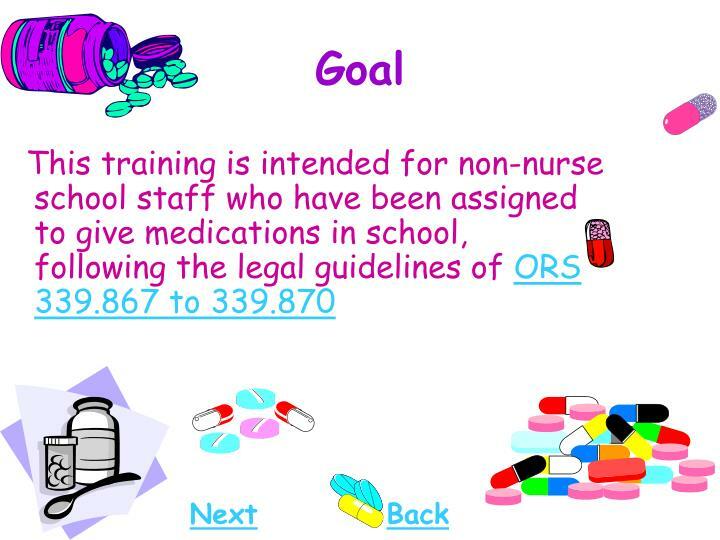 fresno unified school district august 2008 revised june 2009 barbara miller, rn, pnp fresno county office of education. 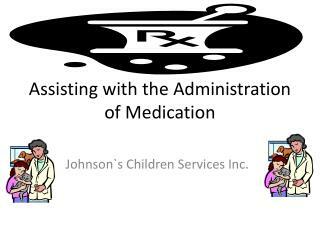 Pediatric Medication Administration -. 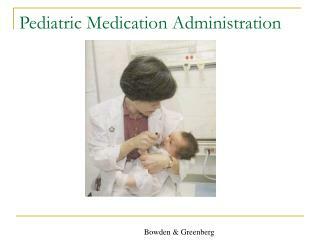 bowden &amp; greenberg. 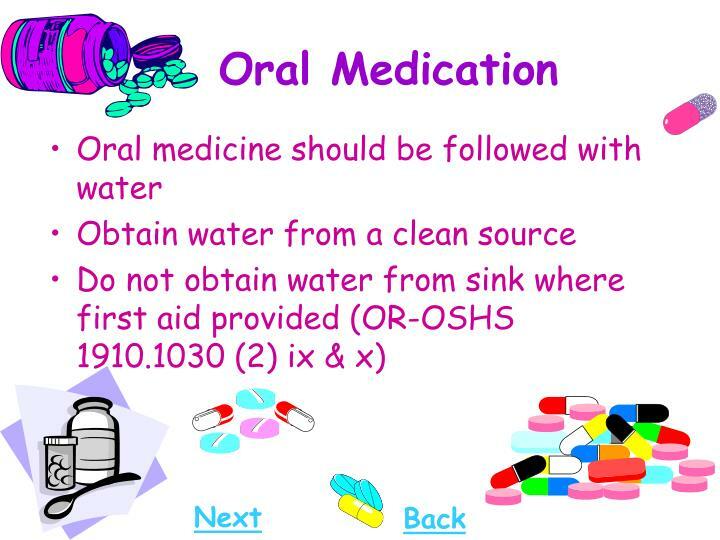 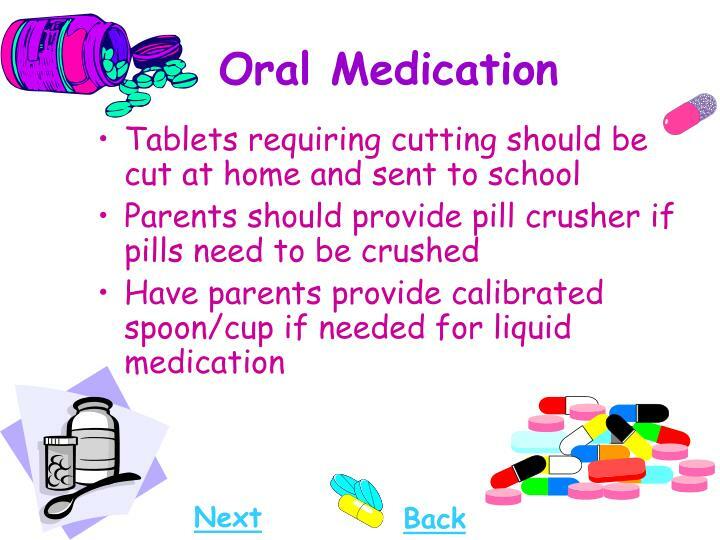 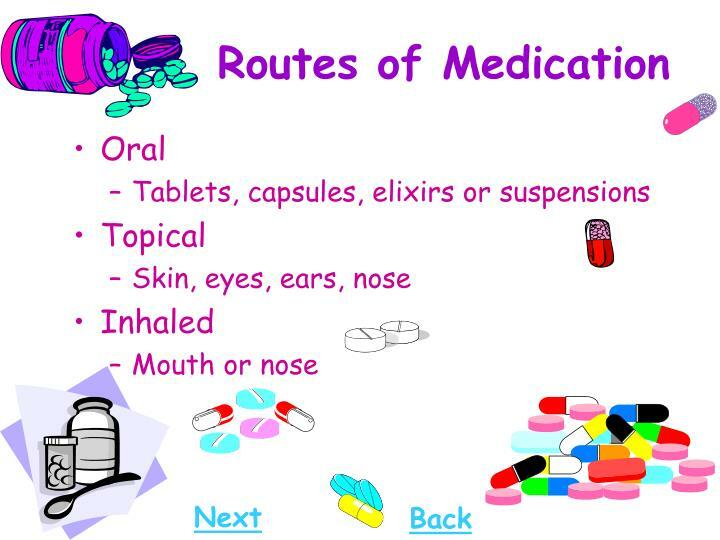 oral medications. 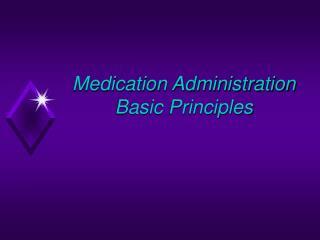 gi tract provides a vast absorption area for meds. 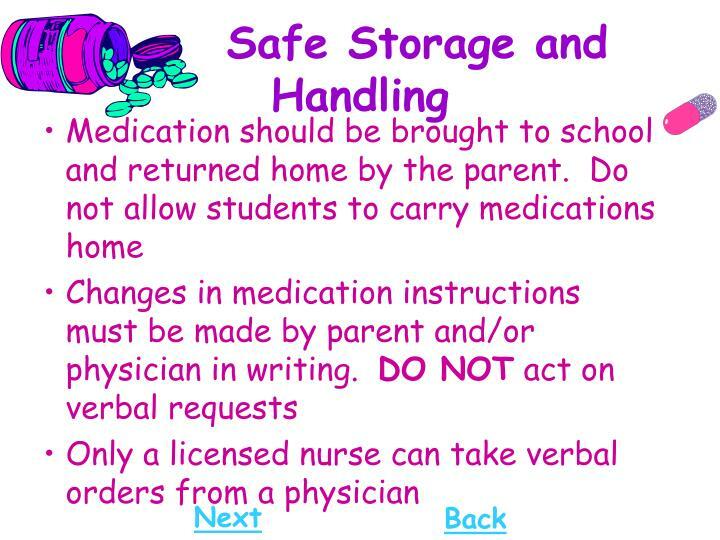 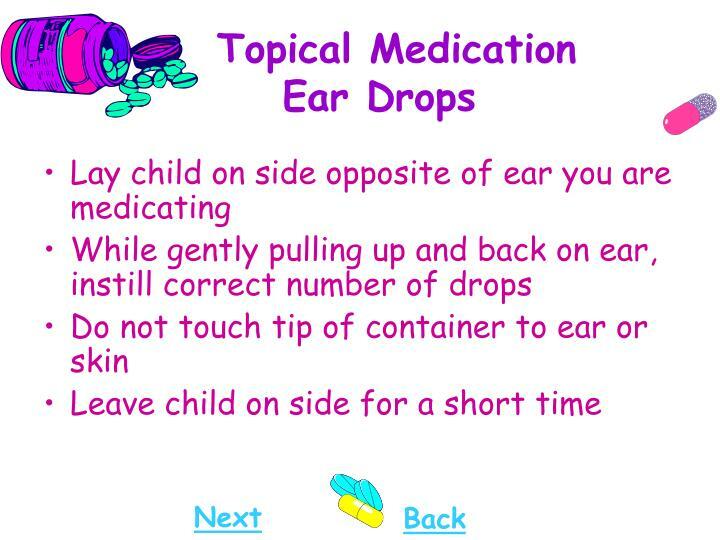 problem: infant / child may cry and refuse to take the medication or spit it out. 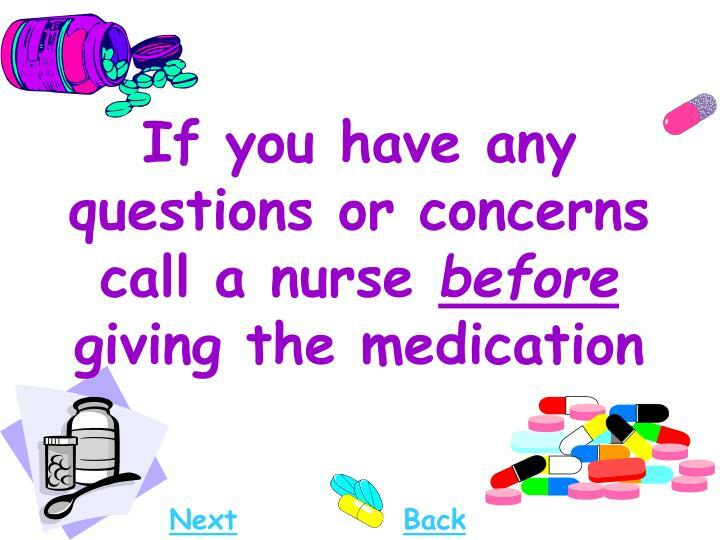 nursing intervention.